South Korean politicians want to ensure that the country never again sees a leader like Park Geun-hye. SEOUL: South Korean politicians want to ensure that the country never again sees a leader like Park Geun-hye, who was booted from office over an explosive corruption scandal. But they are far apart on whether doing so would require rewriting the country's 3-decade-old constitution, a treasured symbol of the bloody transition from dictatorship to democracy. Several parties, including conservatives scrambling to distance themselves from Park, say South Koreans should vote in a new constitution in addition to a new president in early May. They say the shocking downfall of Park, who may face criminal charges over extortion and bribery, shows that the constitution places too much power that is easily abused and often goes unchecked into the hands of the president. Their proposal for a new constitution is based on power-sharing, where the president is limited to handling foreign affairs and national security and leaves domestic affairs to a prime minister picked by parliament. However, the party of liberal Moon Jae-in, who opinion polls show as the clear favorite to become South Korea's next leader, opposes a quick constitutional revision and accuses rival parties of plotting a short-cut to power. The discussions about rewriting the constitution are ironic in that they come after a historic effort to protect it. Lawmakers voted to impeach Park in December on grounds that she "gravely violated" the constitution written in 1987, after the government of military strongman Chun Doo-hwan caved in to months of massive protests and accepted demands for presidential elections. The debate also raises a fundamental question for South Koreans as they mull a new political landscape following Park's demise: Was it a flawed, imperious presidential system that allowed Park to abuse her powers, or a culture that long treated elected heads of states like kings? The future of the constitution has instantly emerged as a major political topic after the Constitutional Court removed Park on Friday and triggered a two-month presidential race. Kweon Seong Dong, a lawmaker from the conservative Bareun party and chief prosecutor in Park's impeachment trial, touted his party's line immediately after the ruling. "We need a constitutional revision based on power-sharing," Kweon said. "Absolute power absolutely corrupts." 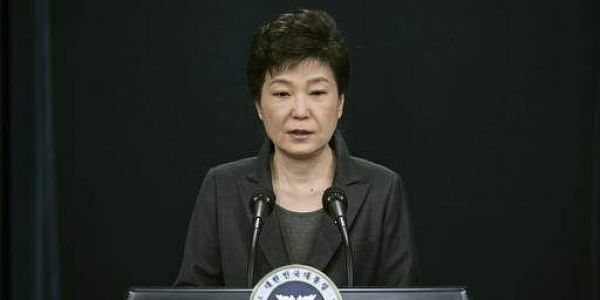 Critics refuse to see the court's decision to uphold Park's impeachment as proof that the constitution works as it is. They include none other than one of the court's justices, Ahn Changho. In a supplementary opinion written into Park's ruling, Ahn found the constitution responsible for an "imperial presidency" that breeds "deplorable political customs," such as abuse of power and corruptive ties with the country's biggest companies, which have a tradition of bribing politicians for business favors. Ahn said the president simply has too much power over the appointment of government officials, making of laws and policies, budget planning and other decisions, which lawmakers find difficult to check for most of the single five-year term. "Our country has a winner-takes-it-all representative system where those who win an election, even by just one vote, obtain imperial political power and those who don't get swept to the side and are neglected," Ahn wrote. A constitutional change would need the support of two-thirds of the 300-seat parliament and then pass a national referendum. Moon, who's likely to be the presidential candidate of the Democratic Party, the largest in parliament, says he is open to discussions about constitutional revision, but opposes any changes that take place before or simultaneously with the upcoming presidential election. He says that two months is too short to properly rewrite the constitution, which not only lays out fundamental principles for power and governance, but also defines the basic rights of citizens. Besides proposing power-sharing between the president and prime minister, the parties backing a constitutional overhaul also call for the next president's term to be reduced to three years so that a presidential vote can coincide with a parliamentary election in 2020. By then, the parties want a president to be able to serve two four-year terms or a six-year single term. Some experts question whether South Korea's Constitution is really at fault for power-drunk presidents. On paper, it seems that the South Korean president domestically has significantly less power than, say, the president of the United States. The South Korean president can't issue executive orders without the consent of lawmakers. The president does appoint a large number of government officials, but needs lawmakers' approval when seating the prime minister, Seoul's No. 2 job. It's hard to say a system for checks and balances isn't there when lawmakers and a court just combined to kick out a sitting president. This wasn't the first time South Korean lawmakers tried to remove a president either, although the Constitutional Court reinstated late President Roh Moo-hyun in 2004. Perhaps, Park's saga is less of a reflection of the country's constitution than of a rigidly hierarchical culture, where people find it extremely difficult to disobey instructions from above, even when they are inappropriate or unlawful. The scandal has inspired Democratic Party lawmaker Ki Dong-min to propose a law he says is aimed at allowing government workers to refuse "unjust" orders from their bosses. But when a society needs a special law so that people could avoid breaking other laws, then probably laws aren't what the problem is about. "South Korea's imperial president wasn't created by laws, but by custom and culture," Won-Ho Park, a Seoul National University politics professor, wrote in a newspaper column. "The secret to why our president can influence so many things, even the appointment of public university presidents or the personnel decisions of private companies, could perhaps be found in our culture that calls presidential authority as the 'great power' and presidential contenders 'hidden dragons,'" he said.